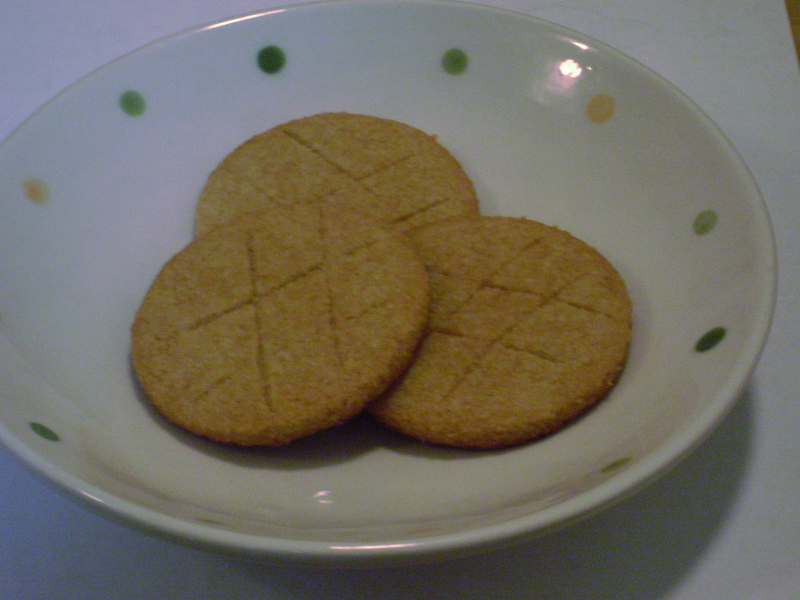 Sablés are French butter cookies. I first found out about them on Joy of Baking and the recipe below is a modified version of the original recipe from that website. It is best that coconut oil is used as it gives a buttery flavour to the cookies and it is also nutritious. View the original recipe here, as well as some background information about these cookies. When transferring the cookies to the baking sheet, I use a flat flipper or spatula to do it. That’s what I do with all cookie-cutter cookies as it’s easier and less mess. Beat wet ingredients and add the dry. Mix until it forms a soft, sticky dough. Divide the dough in half and wrap in plastic wrap. Chill for about 1 hour in the freezer, until firm. Preheat oven to 350ºF and line a baking sheet with parchment paper. Roll out the dough between plastic wrap and cut out the cookies. Even though the dough is firm, it is still very soft so take care when transferring the cookies to the baking sheet. Make the egg wash by beating the egg and water together, brush on the cookies and make a crisscross pattern with a toothpick or pointed knife. Bake for 12-14 minutes. Cool and serve. Enjoy! Wow! I love that random entry generator because I missed seeing this when you originally posted it. Another bookmarked recipe for sure! Have you noticed an advantage with using coconut oil since it features in the majority of your recipes? Thanks again for your time and help! I tried this recipe, but the bottoms of my cookies ended up crisy 😦 Any suggestions on how to avoid that in the future? Hi Amanda, it’s been a while since I’ve made these cookies, but I think the bottoms were crispy when I made them as well. To avoid it, though, I would suggest trying to bake them for a few minutes less. Hope that helps!